by Gaillard R. Peck, Jr.
Benchmarking is common practice in industry: how do my products, processes, and metrics compare to the other guy’s? A carmaker will buy other carmakers’ comparable cars and tear them apart to see what goes where. Militaries do it too, you just won’t read about it in the newspaper. In fact, the testing and evaluation of foreign aircraft, begun in 1953 with the acquisition of a Soviet Yakovlev Yak-23, is the longest continuing classified military airplane program in the US. 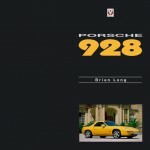 The covert program discussed here, Constant Peg, was declassified only in 2006 and, naturally, spawned a number of books. This one is the first to be written by not only an insider but the actual person who initiated it (and named it, after his wife Peggy). For ten years the USAF secretly trained Air Force, Navy and Marine fighter aircrews against actual Soviet MiG jet fighters. Peck, who was a combat flyer in Vietnam and after attending Armed Forces Staff College moved to the Pentagon as the AF Tactics Officer managing overt and covert operations, is in a unique position to cover this subject both from the pilot’s perspective and the Big Picture operational angle. That the book doesn’t answer everything is surely not for lack of trying but the passage of time, the loss of records, and simply the enormous complexity of the program vis-à-vis the limitations of a 350-page book. 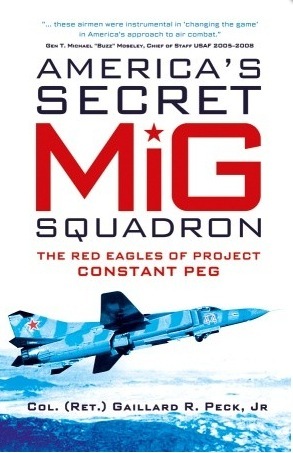 It should be noted that the author of the first substantial book about this topic, Steve Davies who in 2008 wrote Red Eagles: America’s Secret MiGs, encouraged this account by Peck who sees his book as only one of many yet to come to fully plumb the depths of Constant Peg. To make it easier for non-flyers to get a sense for the harsh, three-dimensional, constantly changing space that is the fighter pilot’s “office,” Peck opens with a dogfight that takes the reader into the cockpit. That there is a lot of jargon here (which is explained later on) and not everything is easily understood is not a bad thing: it establishes that this is a highly specialized environment and that nothing is simple. Showing up training deficiencies in such a dramatic way also allows Peck to immediately introduce a key premise of the book: warfare doctrine is written based on past experience but aims to accurately forecast the future. The reason the air war in Vietnam evidenced much higher fighter losses than, say, Korea is that the Air Force’s top brass had predicted a different war—missile delivery, not air-to-air combat. Consequently, US fighter pilots did not learn dogfighting skills and when the paradigm shifted they suffered high losses. Peck relates why the USAF set up the program, the construction of a secret airfield in Nevada in record time, the recruitment of personnel, training, squadron life, and the effect of the program on Air Force performance. You see, then, that this broad an approach means that many different strands come together but that not everything can be explored in definitive detail. Where the MiGs came from, how they were kept flying (Russian aircraft of that era were not exactly Swiss watches! ), or how almost 6000 people who had to know about the program (including civilians) kept their mouths shut for so long are just some of the tantalizing issues touched upon. The level of magnification varies, though. There are, for instance, layers of minutia that must seem utterly peripheral to anyone who wasn’t there. Early on Peck makes clear, and rightly so, that the people in this story matter more than tactics and apparatus but the names and names and more names of people that have no direct bearing on the advancement of the story are the sort of thing that belongs in a Reunion Book or Yearbook. A certain chest-thumping brashness and the interpersonal dynamics smack so clearly of a lifetime of immersion in military culture that some readers may be put off. An editor could have helped here, as well as kept the story from skipping around so much and avoid the sporadic burst of repetition. Still, it is a fascinating piece of history. The photos, many of which rather too small, are bundled into two stand-alone sections. Appended is a red Eagle Alumni Roster (all positions, from welders to pilots), the Glossary is a fairly long, and the Index fine but in miniscule type.